This is the least ideal situation. Your account sits in limbo. Acquaintances who don’t know of your passing might still post Happy Birthday wishes to your timeline yearly making your family and friends cringe and face palm every single time. This is really not the best way to maintain your account after you’re gone. It’s very freaky to have new posts coming from a deceased person. The correct way is to get your Facebook profile memoralised. This is good but without a legacy contact, Facebook has no one to hand over (limited) control of your Facebook profile. If you do not want to disappear from Facebook upon passing, this is the best way to handle things. Your legacy contact will get limited access to manage your Facebook profile. Read on to find out more about legacy contacts. You die and Facebook deactivates your profile once they are notified of your death. You have final say on whether you want your Facebook account to be around after your passing. Once you have made this decision, no one else (even your legacy contact) can override this decision. The only exception is if someone has your login credentials and goes in to turn off this setting before Facebook gets notified of your death. For this to work, someone must report your death to Facebook. Otherwise, your account remains active. Having a legacy contact whom you have briefed to inform Facebook about your passing as soon as possible will greatly hasten the process to execute your wish to deactivate your profile once you are no longer around. Accept friend requests. Initiating friend requests to others from your profile is not possible for obvious reasons. 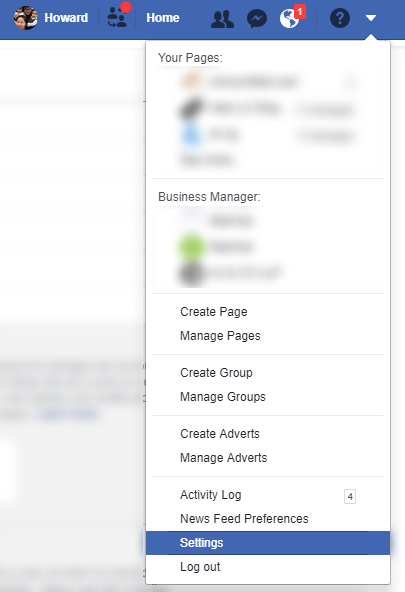 How to nominate a Facebook legacy contact? From there, choose Manage Account and you will see the full settings. 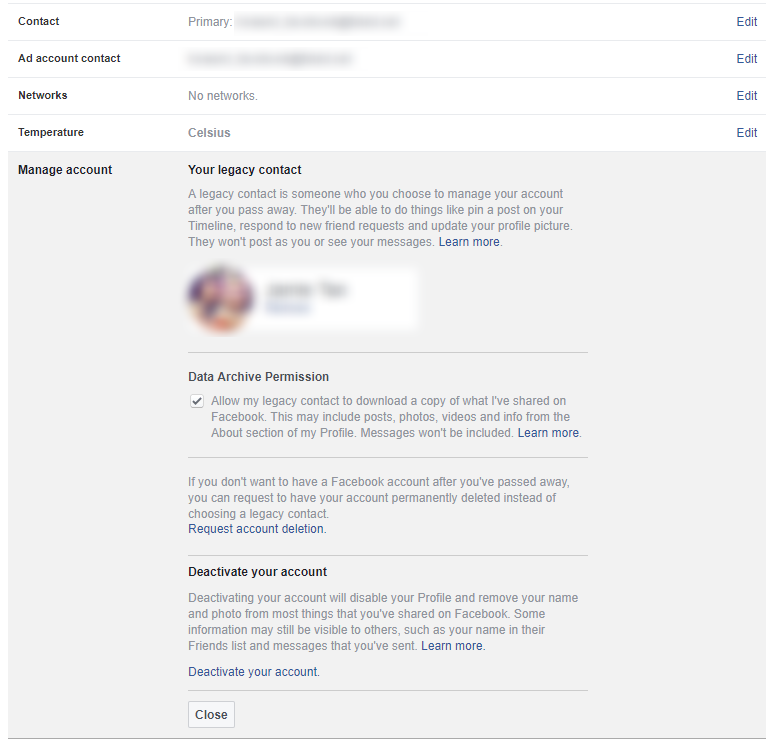 You can optionally allow your legacy contact to download a copy of your Facebook data and/or request to deactivate your account when you die instead of memoralising it. How to memoralise the profile of someone who passed away?